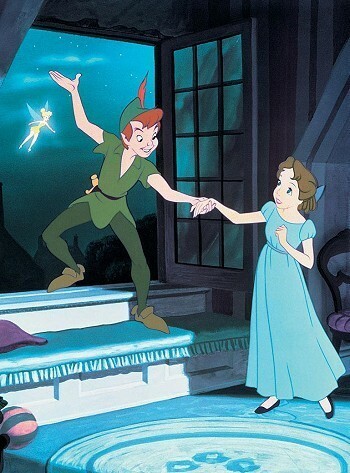 Buy Wendy's look: Dress , $139.69 ; Shoes, $36.99 ; Clutch, $37.61 ; Necklace, $109 ; Thimble Charm , $9.98 ; Earrings , $8.99. 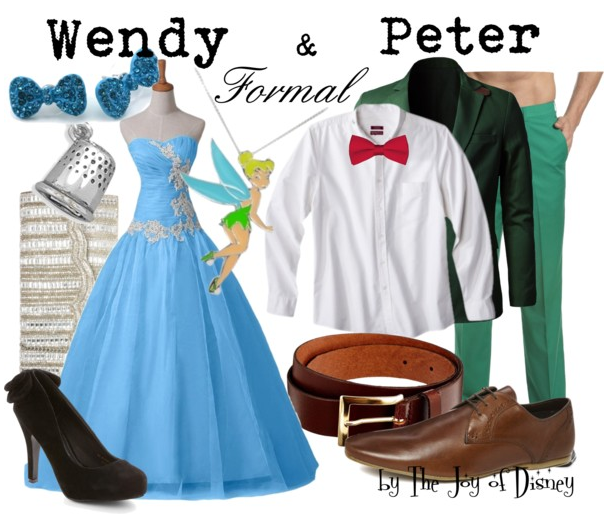 Couple outfits inspired by Wendy and Peter from Peter Pan! These would be perfect for Prom or some other formal event!